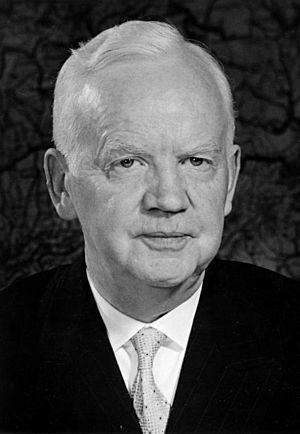 Heinrich Lübke (October 14, 1894 – April 6, 1972) was the second President of the Federal Republic of Germany. He was President from 1959 to 1969. Heinrich Lübke Facts for Kids. Kiddle Encyclopedia.